Buying a property isn't simply a case of finding a home and purchasing it. There are several different types of homeownership and each one comes with its own set of pros and cons. Ellis & Co's comprehensive guide can help when trying to work out which is best for you. If you own the freehold of a property, you own the building and the land the property sits on completely outright. Most houses are freehold ownership and your name would appear on the land registry as 'freeholder'. * You must be a responsible homeowner and this will be judged by the local council and the community. Many potential homeowners are unsure what leasehold means. Leasehold means you are living in a property, even if you 'own' it, under the terms of a lease from the freeholder. We've placed the word 'own' in quote marks for a reason, too. While you can buy and sell a leasehold property, such as a flat, of which most are leasehold, you technically own the lease rather than the property itself. The land the property sits on also belongs to the freeholder. The length of the lease can vary. Some leases are as long as 999 years, while others could be as little as 40 years. This is the length of time you can live in the property before the lease transfers back to the freeholder. For those considering buying a leasehold property, a lease of less than 80 years should be a cause for concern. Not only does it lower the value of a property, but some mortgage companies will be reluctant to lend on such a short lease. Most flats and apartments are leasehold properties. In the case of a block of apartments, the building is owned by the freeholder - usually the builder or developer responsible for building the block in the first place. While apartment owners can't buy the freehold for their individual property, it is possible to buy a share of the building's freehold. Many converted houses hosting, for example, six individual flats, are owned on a shared freehold basis. When it comes to shared ownership properties, we're talking a vastly more complex form of homeownership. In simple terms, though, shared ownership is a process whereby the homeowner buys a percentage of the property and pays rent on the rest. 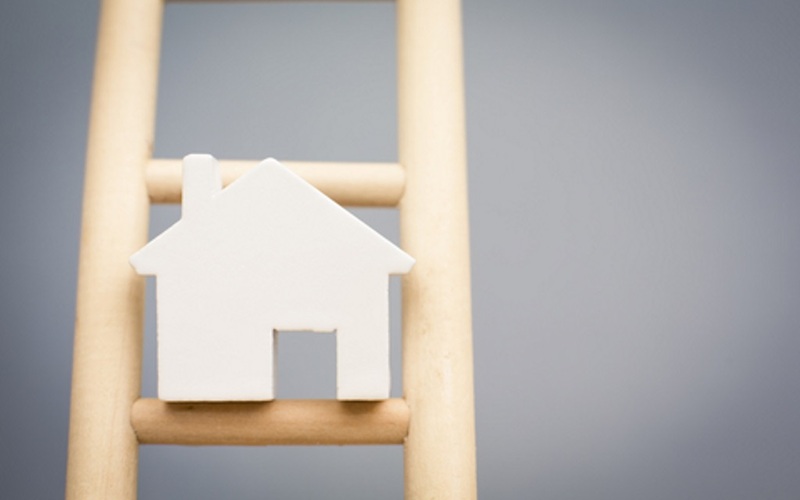 With many first-time buyers priced out of a growing property market over the past decade, shared ownership has provided many with an opportunity to get on the property ladder. Most properties available to buy under shared ownership schemes are new builds and they are only available to buy on a leasehold basis. The buyer must purchase between a quarter and three quarters of the property and pay rent on the remaining amount. Shared ownership has grown significantly in London where property prices remain out of reach for many first-timers, despite a variety of properties for sale. * The biggest plus point about shared ownership is costs. The process allows those without a huge deposit to technically 'own' a home and reap the benefits that come with that, such as capital growth. WHAT IF I WANT TO BUY MORE OF THE PROPERTY LATER? This is known as 'staircasing'. Those who own a shared ownership property should contact their housing association if they wish to purchase a larger percentage of their home. As with purchasing more of the property, the housing association must be contacted before a shared ownership property can be sold. They may nominate a buyer if they have a waiting list for shared ownership homes, while some associations may have a right to try to sell the property for you for eight weeks. If the property remains unsold after that period, the owner can sell their share on the open market. Some housing associations offer 'back-to-back staircasing'. This is where a new buyer purchases both the seller's share and housing association's share when purchasing the property. Properties for sale under fractional ownership are generally homes abroad, particularly in the Caribbean and United States of America. Fractional ownership usually involves a group of people each buying a share in a holiday home and, in return, receiving a set number of weeks to use that property each year. There is a popular misconception that fractional ownership is simply timeshare. But unlike timeshare, fractional ownership does see the buyer purchase a share in the actual property itself, meaning they benefit from the propertyâ€™s capital growth or suffer from its depreciation just like owning a property in the UK. All these forms work in different ways, with destination clubs being more like hotel resorts, private residence clubs forming the top end of the fractional ownership market and exchange programmes seeing owners swap their time at their properties for time at others somewhere else in the world.